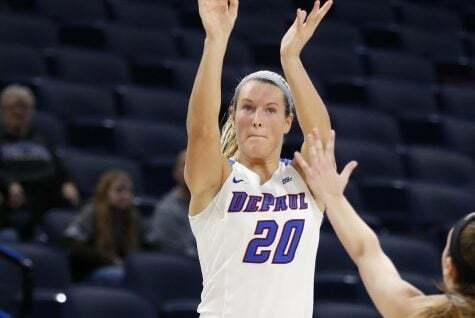 DePaul’s women’s basketball team finally took back the torch in their increasingly fun-to-watch rivalry with the Marquette, routing the Golden Eagles (14-7, 8-2 Big East) 95-83 to reclaim the No. 1 seed in the Big East. 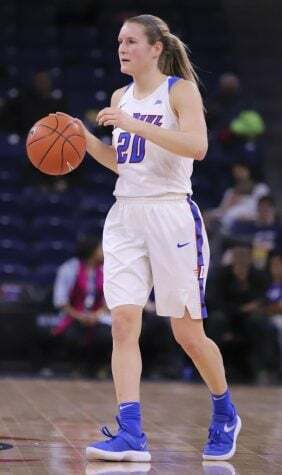 It was another career night for sophomore guard Kelly Campbell. 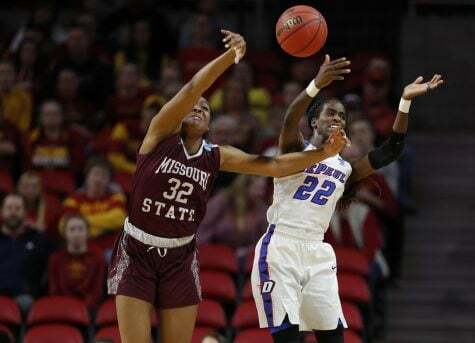 Her new mark of 20 points led all Blue Demon scorers, although five more found themselves in double digits. 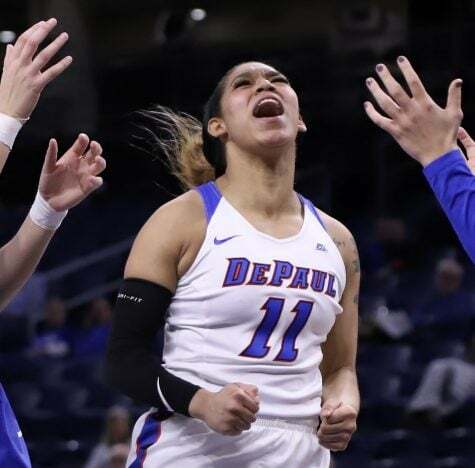 Last season — Campbell’s freshman year — DePaul lost all three of their matchups with Marquette, including the Big East Championship title game. 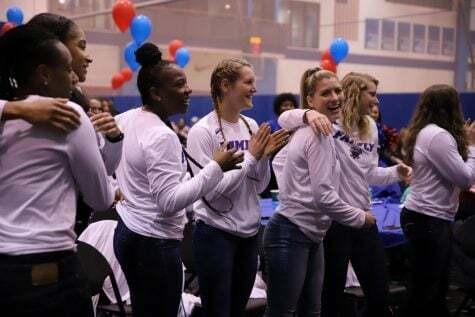 Among the others scoring in double digits, junior guard Amarah Coleman (15 points, five assists) said the key to beating Marquette was fearlessness. 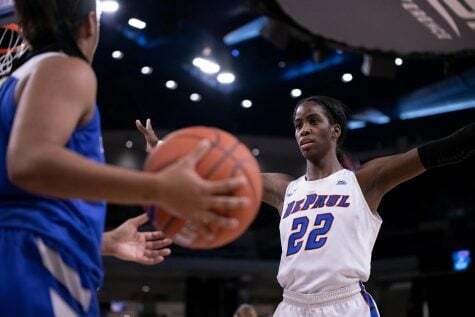 DePaul started strong, taking a three-point lead in the first quarter thanks to Coleman and Chante Stonewall combining for a perfect 6-for-6 at the charity stripe and Tanita Allen’s seven points off the bench. Allen would cool off, adding just three more points by games end. 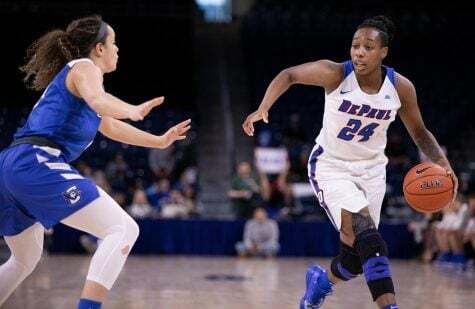 With four minutes to halftime and the game tied at 32, Chante Stonewall drove to the rim for a foul and the bucket, completing the three point play to take DePaul’s final lead of the game. 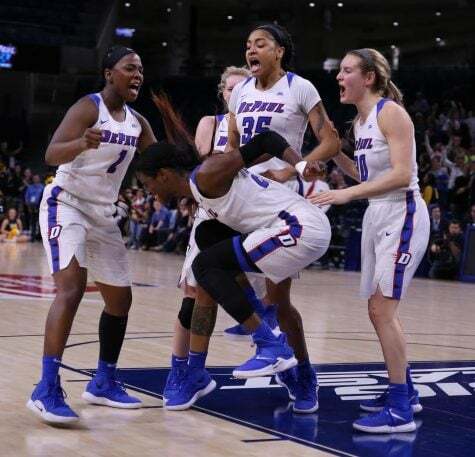 The Blue Demons kept up the pace in the second half, extending their lead to over 10 points and never made things easy for the Golden Eagles, out rebounding their conference rivals 44-36 (31-22 on the defensive glass). Ashton Millender found a hot hand in the third quarter after a cold first half, shooting 3-of-4 from the floor for seven of her 16 points. 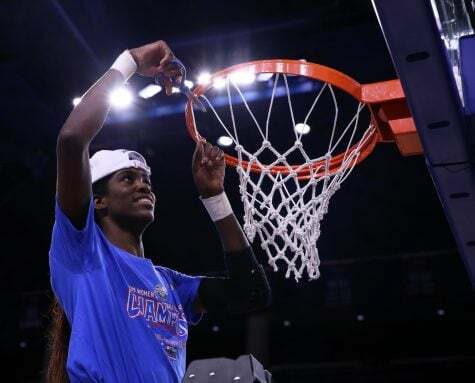 In the final seconds of the quarter, Millender got the ball at the bottom of center-court logo and launched a 28-foot three pointer at the buzzer to enter the final ten minutes up seven. Bruno says he only knows how to coach one game and one possession at a time, which he says is the key to winning competitive games. 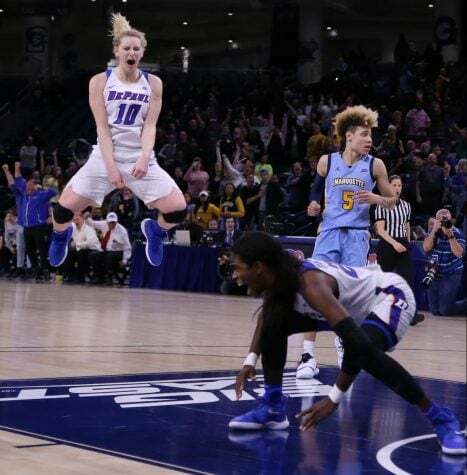 So, possession by possession, the Blue Demons continued to accelerate into the finish line, extending their lead to 12 in time for the final buzzer.